Mass Extinction – What is it and what can you do? By definition, a mass extinction means three-quarters of all species disappear and it is anticipated that this may be within the next 2 generations. Data released by The World Wild Fund for nature predicts that wildlife will experience a mass extinction if the current rate of extinction continues. Anthony Barnosky, executive director of the Jasper Ridge Biological Preserve at Stanford University has said "the best way to envision the sixth mass extinction, is to look outside and then just imagine that three out of every four of the species that were common out there are gone." This is a pretty terrifying thought. The population of mammals, birds, fish, amphibians and reptiles is already rapidly declining across the world. The recently released Living Planet Report 2016 (compiled by WWF with data from the Zoological Society of London; ZSL), states thatoverall populations have witnessed a drop of 58% between 1970 and 2012 and if the current trends continue, the world could lose more than two-thirds of its wildlife by 2020. The ZSL data tracks approximately 14,200 populations. The report indicates a decline of 38% in terrestrial population, 36% in marine life, but a drastic decline of up to 81% of population of fresh water species. Director General of WWF International, Marco Lambertini has said "Wildlife is disappearing within our lifetimes at an unprecedented rate…Biodiversity forms the foundation of healthy forests, rivers and oceans. We are entering a new era in Earth's history: the Anthropocene." This will be the world’s first mass extinction of wildlife since the dinosaurs were wiped out 65 million years ago. The current rate of extinction is around 100 times faster than what is considered normal, which is greater than the rate during some of the previous five mass extinctions in the Earth’s history. “We ignore the decline of other species at our peril – for they are the barometer that reveals our impact on the world that sustains us” Mike Barrett, Director of Science and Policy at WWF-UK. Whilst some scientists such as Stuart Pimm, the Doris Duke chair of conservation ecology at Duke University, have argued that the 58% figure maybe misleading because it takes an average across different specifies and environments, it is a nonetheless worrying trend. Pimm goes onto say "Yes, species are going extinct very, very much faster than they should be which means we are depriving countless generations to come the extremely rich diversity we inherited from our parents." Whilst some scientists are suggesting the sixth mass extinction is to come, other experts such as Paul Ehrlich, the Bing professor of population studies at Stanford University, say the sixth extinction is already here. It’s worth saying at this point that the results of a sixth mass extinction are vast and irreversible. What’s the cause of the sixth mass extinction? While it’s generally agreed that that dinosaurs probably died out because a giant meteor hit the planet, one species is the cause of the sixth mass extinction, it’s us - humans. “Humanity’s misuse of natural resources is threatening habitats, pushing irreplaceable species to the brink and threatening the stability of our climate.” Dr Mike Barrett, director of science and policy at WWF-UK. Patrick Bergin, chief executive of the African Wildlife Foundation mentions that "the relentless expansion of human populations and economic activities in every corner of the globe, including now the most remote parts of Africa, is clearly pushing more and more wildlife species to the brink." The Living Planet Report points towards unsustainable agriculture, residential and commercial development, energy production, human food system, overfishing, climate change, poaching and unsustainable hunting as some of the key reasons behind the decline. 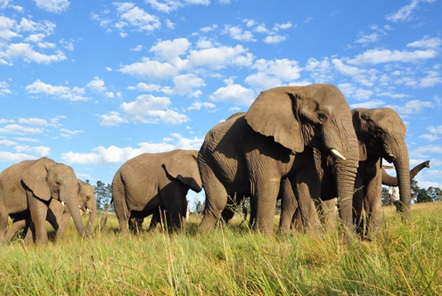 Two grave examples are that poaching has caused a dramatic decrease in the number of African elephants; their numbers have fallen by over 100,000 in a decade. 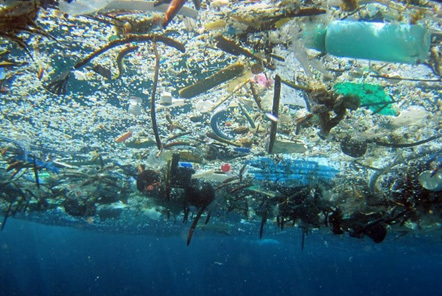 Researchers have suggested that the ocean could be equal parts fish and plastic by weight by 2050. Over the last few centuries, humans have become the top predator on land and at sea, something that no other species has achieved. However by doing so, humanity has begun using 25% to 40% of the planet’s net primary production for its own purposes. Scientists have warned us for years that our actions are putting the planet at risk, fortunately there’s time to stop it. As Ken Norris, director of science at ZSL points out “these are declines – they are not yet extinctions – and this should be a wake-up call to marshal efforts to promote the recovery of these populations”. He hopes the report will spur people into action. "We have the tools to fix this problem and we need to start using them immediately," said Marco Lambertini, director general of WWF International. It’s suggested that we have 20 years at the most to prevent mass extinction and ecological meltdown. 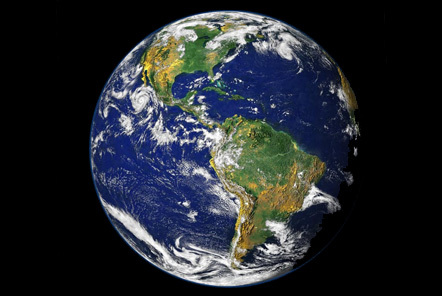 There are lots of things that can be done at a country / government level such as reducing the use of fossil fuels, addressing climate change, creating sustainable farming practices, protecting more the land and ocean, controlling the illegal trades of ivory and other animal products, but there are also things that can be done at an individual level. You are only 1 person but if all 7 billion people on the planet took these steps, the accumulative result would be extraordinary. 1) Talk! Make sure that people know this problem is real by talking about it, using social media to spread the message and encourage a positive change. Contact companies that you feel could be more environmentally friendly with their packaging or your local government regarding their environmental policies. 2) Refuse to buy products that could harm the environment e.g. unnecessary plastic packaging and disposable items where there’s a reusable option. Opt for recyclable products. 3) Reduce your carbon footprint, the number of trips you make in a car, the waste you create (recycle where possible), your water consumption (showers rather than baths), and your meat intake. 5) Support those individuals, leaders, companies etc that are committed to making a difference. For example those that strive for a carbon-neutral energy system, value nature and promote women’s rights to education and healthcare. 6) Reuse items such as carrier bags, batteries and napkins etc can reduce the amount of waste you create. 7) Recycle as it’s a great way to reduce waste, but it takes energy to recycle things. Try to reuse and reduce as a priority and then recycle what’s left. 8) Enjoy nature by spending your free time outside, enjoying parks or other biodiversity-rich places. Being engaged in nature is key to feeling invested in the planet and wanting to protect it. 9) Adopt a species or become a citizen scientist as there are lots of opportunities available to adopt a species or sponsor land in order to protect and conserve it. You can also look into local citizen scientist opportunities in your area where you can contribute to larger databases and inform policy. 11) Don’t give up as this is a very complex problem. It has taken decades to get to this point and it won’t be solved overnight. It will also take decades to bring thousands of threatened species back to health. So, the sooner we start taking action and protecting the world and species around us, the sooner we can make that change and the better chance we have of avoiding the Sixth Mass Extinction.